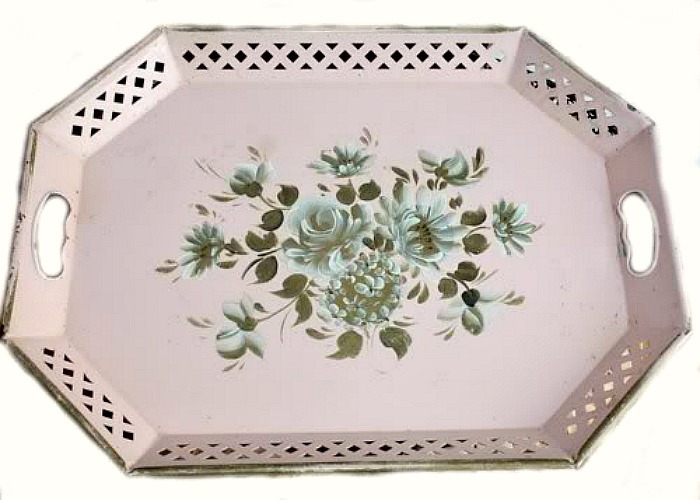 Softest Pink Tole Tray, hand painted with the most luscious floral bouquet, in White and luxury Gold, perfect to add some decorative glamour to your home. A beautiful Rose takes center stage, surrounded by other garden flowers. This is a collectible shabby treasure, so not for those of you who only love perfect. This tray has gilt detailing, and a reticulated edge, most of the wear is on the gilt trim as shown. The beautiful hand painted floral bouquet features roses, hydrangeas and other garden favorites by an accomplished artist. Please only buy this if you love things that aren't perfect, a little faded grandeur is what we love! 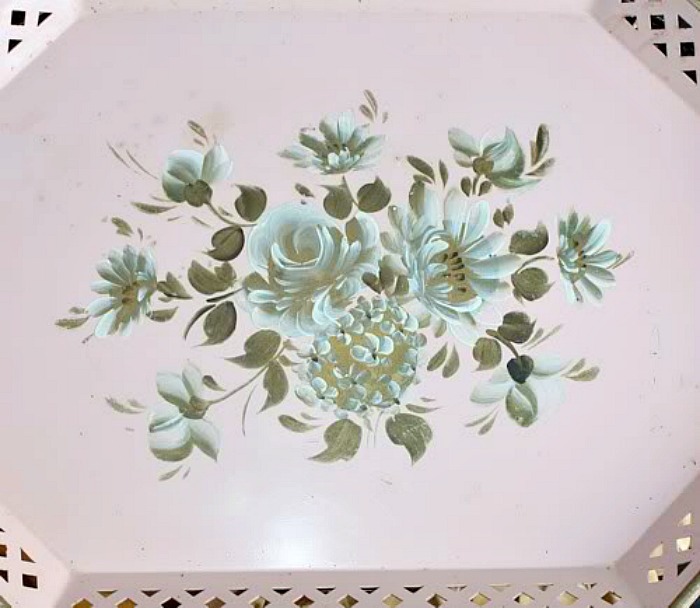 The front of the tray has aged with time to a more soft pale Pink coloration, there are a few spots, but nothing to detract from this sweet beauty, the center floral is in good condition. This has been well preserved and loved for decades, use this for display with your toleware collection, or serve your guests with elegance and grace. In Pink!Measures 20" x 15" x 1~1/4".